Promotional Product specialists are thrilled to now sell the folding reusable drinking straw. The ad specialty industry is always on the lookout for new ideas that are trending and none is newer and more on point than Last Straw, the folding reusable drinking straw from Promo Motive. 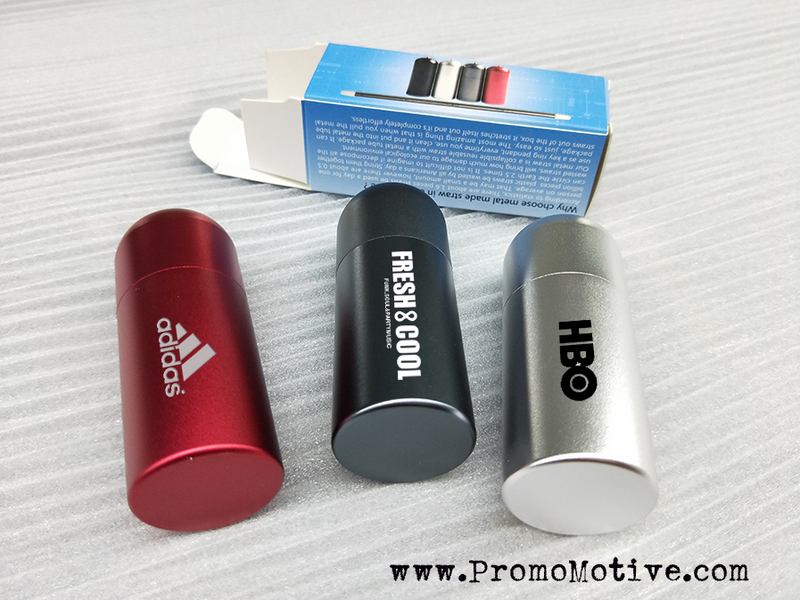 Trendspotting is the domain of promo swag supplier Promo Motive. Their research department specializes in identifying trending ideas and bringing them to market. The hot new idea is the folding straw called Last Straw. The promotional product category has been in a major sea change in the past 2 years! The world of swag has been in major upheaval over the past 24 months as short burst trends have come to the forefront quickly and disappeared just as quickly. No trend was more lightning fast than the fidget spinner. This burst trend landed for 5 months and savvy suppliers like Promo Motive were able to capitalize on it and reduce risk by not having inventory domestically, instead airing in all orders direct from the factory floor to the customer’s door. The next big trend is identified and it’s the folding reusable drinking straw. The folding reusable drinking straw could easily outstrip the fidget spinner in popularity. The reasons are simple. Cities and states are moving to ban plastic drinking straws. Major cities like Vancouver and Seattle have outright banned the plastic straw. The UK has outlawed all plastic straws and other European countries consider the same. 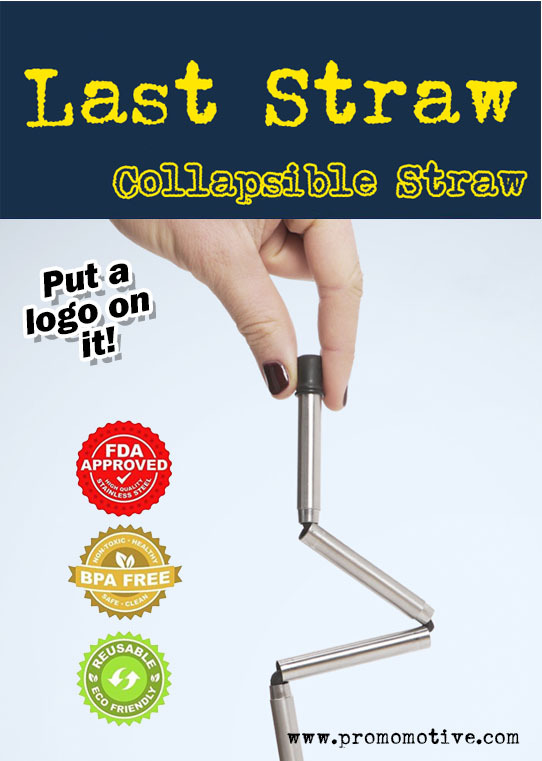 The Last Straw, the world’s first collapsible, reusable drinking straw for your logo. Clean, compact, and totally awesome: for any business that wants to rid their lives—and the planet—of single-use plastic. Available NOW! Delivery in 2 weeks. FREE Shipping, FREE Logo! The folding straw comes in great colors and is available with your logo in up to 3 colors. Call us anytime 7 days a week from 8 a.m.- 6. pm. Our toll free number is 1-888-908-1481 or email ideas@promomotive.com. Get your logo on a folding collapsible drinking straw. Get eco friendly with a folding reusable drinking straw for marketing and b2b promotional products. Get Your Client Business or Event Logo on a Folding Reusable Drinking Straw. Folding Reusable Straw called the Last Straw set to sweep the promotional products marketplace in late 2018 and into 2019. 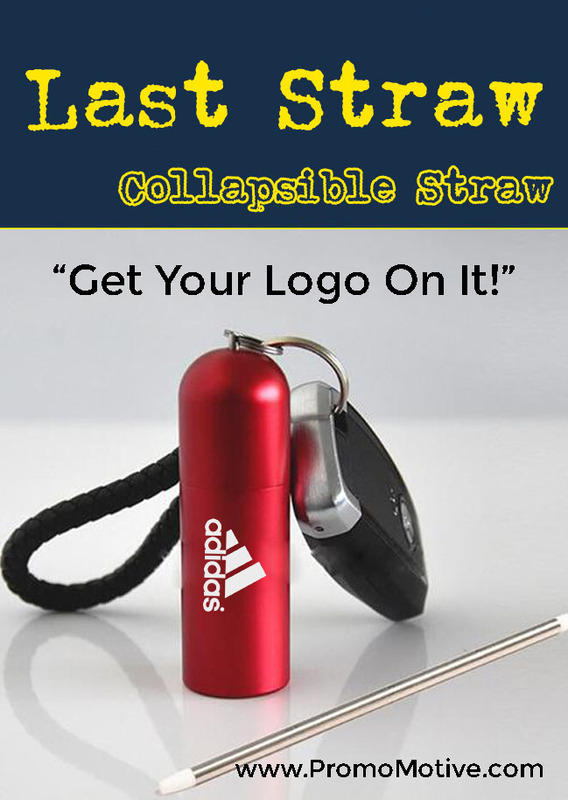 The business of logoing swag is getting an eco boost in the summer of 2018 as the worldwide movement to ban plastic one time drinking straws creates a unique promotional products opportunity with Last Straw the folding reusable drinking straw. The Straw That Broke The Turtle’s Back? How did the whole movement to ban plastic disposable drinking straws start? It all started with a group of ecologists working with Sea Turtles off the coast of Costa Rica. In the below heart-wrenching video a Sea Turtle is seen in obvious distress while the young scientists spot the tip of a plastic straw poking out from its nose. In this 8 minute video seen by nearly 30 million people the deeply embedded plastic straw is excruciatingly pulled out from Sea Turtles nose. Viewers Beware! Now You or Your Client Can Get a Logo On It! Available in 4 cool colors, the Last Straw folding reusable drinking straw is now available to promotional product professionals. Minimum orders start at 100 pieces and will have price breaks at 250, 500, 1000, 2500 and 5000. Queen gets Jiggy with her promotional swag. Pop phone grip tickles her Majesty! The 94 year old Queen is Getting Down and Getting Jiggy with her Promotional Swag! 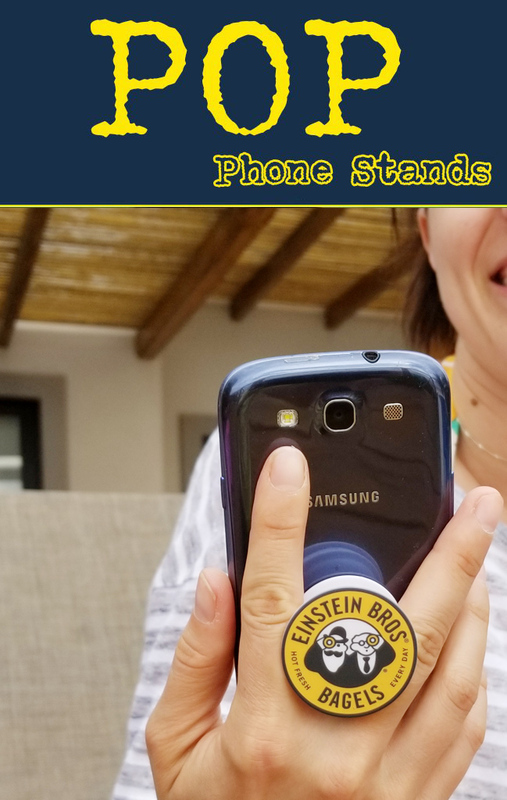 Like all of us, the monarch loves her smartphone and like anyone who loves their phone, she LOVES her POP phone grips! The Queen gets a POP phone grip with her logo for the next Buckingham Palace tradeshow! 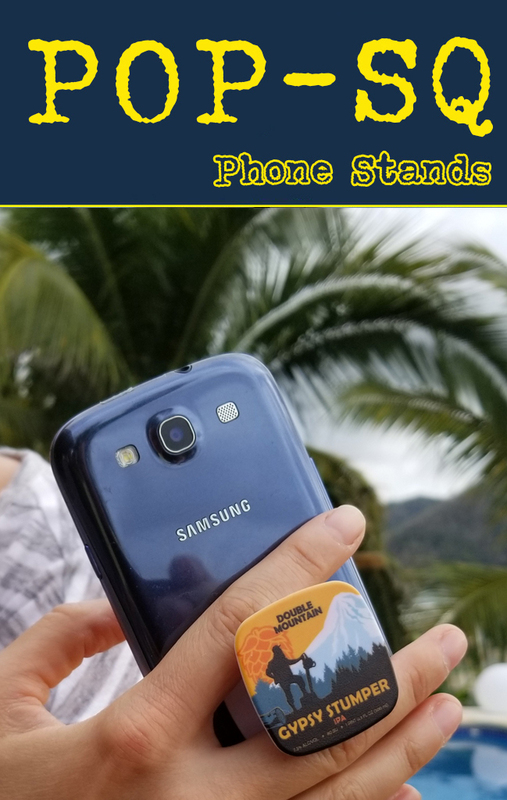 Phone grips come in all shapes and sizes and Promo Motive leads the way with the best in low cost POP phone grips complete with 3M reusable adhesive backing and pop out grip styling. Tons of other Phone POP grips available including Custom shaped, POP rings and more. For complete info call 1-888-908-1481 or email John@PromoCrunch.com. The trend to ban plastic straws continues its worldwide movement as both Starbucks and McDonalds ban plastic straws. Disposable plastic straws continue to be the poster child for everything bad in the world of non-recyclable plastics and major corporations are taking notice. As is often the case, major corporations start at the edges of their business empires and then quickly move towards the center. Today both McDonald’s and Starbucks of India banned the use of all disposable plastics including drinking straws. This ban comes amidst an ever-increasing chorus of bans from cities, states and countries banning the disposable plastic straw. This ban includes Seattle, Vancouver and over 500 other cities. What started all of this, a Turtle Video? Yes…24 million views of the video below showing a sea turtle having a disposable plastic straw wrenched from its nostril (where it had become embedded in its sinus and throat) has prompted a worldwide backlash against the disposable straw and given rise to the folding stainless steel drinking straw. The disposable plastic straw is now being banned worldwide. Seattle bans plastic straws. The Promotional Products market gets in early on the trend. Often the promotional products market is slow to adopt new ideas but the folding reusable straw is out of the gate and available for corporate promotions as of August 1, 2018. Get it here first. How to get the most impact from your marketing swag. We make you look cool. Getting the most impact from your business swag marketing budget is easy! In 2018, getting more impact from your swag marketing budget is easier than ever. The internet, trending viral products and a niche oriented factory direct supplier will help make this happen for you! In short, this may seem like a pitch to you on how great we are and what we can do for you (which it is), but more importantly, I would like you to take 3 minutes to read this and, as a result, you can up your marketing impact and reduce your swag costs. Let me explain how and why! We have nearly 20 years of experience in this business. I may not know much but I know a lot about this business. In the pre-internet world the promo business adhered to a rigid dictum about how factories could only sell to suppliers and then suppliers could only sell to distributors who in turn could only sell to you. Needless to say this is a bit of a long-winded explanation and if you want to read a great article about how your promo costs add up, click on this post link. This business model worked very well in a time before the internet. The reason: nearly 99% of all promotional products for the promo market are made in thousands of factories, the majority of which are located in Asia. You, the actual buyer, had no other way to source these products except to rely on a paper catalog and a local promotional products distributor to find and logo the promo swag for you. This was how it was done in the dark ages. When the internet really came into its own for online shopping and easy product updating, about 8-10 years ago, the options for the promotional swag buyer (you!) were more and highly varied, but finding the right products for your needs but still left you in a confused state. Why? Most suppliers of swag offer 1000’s of products because they want you to buy everything you ever buy from them! From pens, sticky notes, coffee mugs and everthing from soup to nuts etc they wanted every one of your purchases! This is a bad idea for you! The reason is simple, if a supplier sells 1000’s of diverse products the supplier will be clueless as to what is trending, what is a dog and what does and doesn’t work. They simply want your sale regardless if it works or not for your needs! We did something different. We offer only a small selection of Swag that Works! What a concept! As we built this business, we realized that 80% of our business was gained from a handful of trending products. Over the past 2 years that included the now nearly-dead fidget spinner, the much alive fidget cube, pop sockets and a handful of other trending ideas. We will make you look cool(er) AND save you money! We can’t actually make you cool. Cool is a thing that someone is or isn’t and there are lots of cools, nerd cool, geek cool, swagger cool, lots of cools! We can, however, make your logo and your company look far cooler than you ever have before. It’s what we do! The 3 R’s, Research, Reviews and ‘Riting’ serve us well. We research the heck out of our products, making sure they function perfectly, meet our ‘criteria for cool’ (our TS8 trade secret) and can be logo’d and delivered quickly. We review the products with hands on testers, review social media commentary on the product and conduct a general performance review of each product thoroughly before we sell it! We then ‘rite about everything! We write articles for magazines, write essays for other marketers, and write to inform promotional swag buyers like you. After all, that is probably how you found us! We Logo. We Deliver. We are Reliable. What more do you need to know? We know you’ve heard this before, but in reality Trade How 8 is for 1000’s of business marketers, their best kept promo sourcing secret. We are experts at trends, experts at logo imprinting and experts at delivering the coolest trending swag before everyone else has it. The Folding Drinking Straw: you may not use it but you will DEFINITELY buy it! The trendsetting folding drinking straw. You may not use it but you will definitely buy it! 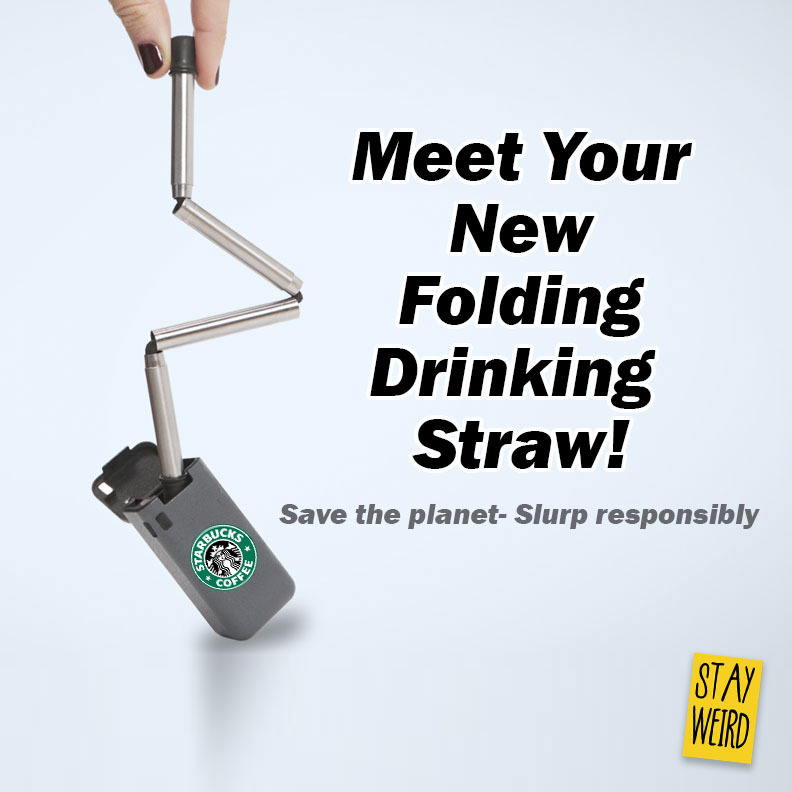 The herd mentality of the environmental movement is hard at work with the pending release of the folding collapsible reusable drinking straw. Get it here first at Trade Show 8. The folding drinking straw is the “must-have” keychain accessory that may not see a lot of use but if you don’t own one and use a disposable plastic straw instead you run the risk of being seen as a modern day Typhoid Mary. Once in a while there are products you must have. To not own one will make you seem to the rest of the world as being “out of touch” or simply “clueless”. In late 2018 and into 2019, that product is the folding reusable stainless steel drinking straw. Following a major Kickstarter campaign, the folding straw design Final Straw was overwhelmed and oversubscribed. Originally the looked to raise $12,500 at $30 a straw they raised $1.894,878! Yes… 24 million views of the video below showing a sea turtle having a disposable plastic straw wrenched from its nostril, where it had become embedded in its sinus and throat has prompted a worldwide backlash against the disposable straw and given rise to the folding stainless steel drinking straw. The disposable plastic straw is now being banned worldwide. For example, Seattle bans plastic straws. Patent on folding drinking straw unlikely to happen, causes rush to market of copycat products. Even though a patent is pending or applied for by Final Straw, it is seen by many as unlikely that a patent will be granted given the nature of the product and the fact that other folding straws may already have been patented in the past. The most successful promotional products are ones that capture your attention drawing the eye to the logo attached. A product like the collapsing folding drinking straw will tell people a number of things about your company. 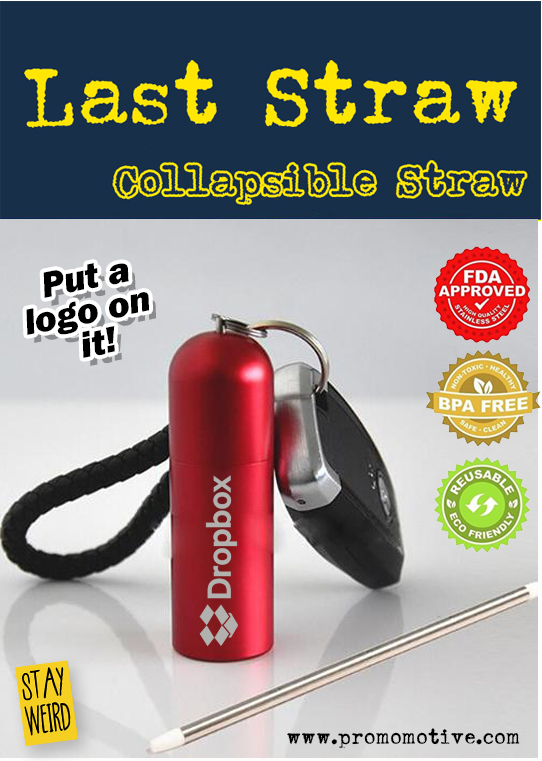 The folding straw will be available August 1st… for info contact us at People@tradeshow8.com. This folding collapsible reusable straw is the PERFECT swag for trade show giveaways. Final Straw, Kickstarter darling and its progenitors are now available on the promotional giveaways market. Trade Show 8 is one of the first making the Last Straw available as a promotional product at a fraction of the retail price. Are you a marketer looking for something definitely on the leading edge of ideas? Nothing is more en pointe than the reusable folding straw. This eco-friendly marketing idea was first conceived by Final Straw and is now available in a similar style called the Last Straw. The Last Straw is a fully logo ready, collapsible, folding drinking straw constructed from bacteria resistant stainless steel and silicone. It also comes with its own cleaning squeegee! Occasionally a social moment or image/video profoundly changes our thinking. In the case of the folding drinking straw, it was the viral video showing a sea turtle in distress while a foot long plastic drink straw was forcibly pulled out from his nose where it was deeply embedded… OUCH! The video has received nearly 29 MILLION VIEWS! Worldwide, plastic straws have been banned in over 400 jurisdictions and counting! The above video has worked in motivating over 400 counties, cities, countries, states and provinces to ban the use of any disposable plastic drinking straws. This ban combined with the movement towards greener marketing solutions has skyrocketed the Last Straw as the premium choice for reusable drinking straws. The Last Straw for promotion is available in quantities as low as 250 units and delivered in 10 days. Call 1-888-908-6932 or email people@tradeshow8.com to GET YOUR LOGO ON IT! The 27 Billion Dollar Promotion Products Industry Embraces The Folding Reusable Drinking Straw with Open Arms! The ASI promotional products industry, often cited as being slow to respond to eco-trends has woken up with a start and wholeheartedly embraced the Last Straw folding reusable drinking straw. Promotional products’ main purpose is to draw attention and produce customer retention with a logo on an eye-catching or innovative product. 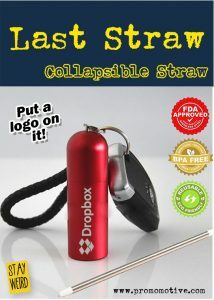 Nothing is more eye-catching or innovative than the folding collapsible eco friendly Last Straw. The promo industry has long been the place for businesses both big and small to seek out new products and ideas to slap their logo on. The 27 Billion dollar industry is often thought of as being somewhat slow to embrace new ideas despite their mantra of being innovative. However, it seems that when it comes to the folding reusable straw they are way ahead of the curve. What caused the big stir about folding drinking straws? Basically two disparate but simultaneous events started the ball rolling on the foldable, reusable drinking straw. The first was the Turtle Video. This haunting and emotion evoking video shows a plastic disposable drinking straw being yanked out of its nose for almost 10 excruciating minutes! The second was the Final Straw Kickstarter campaign! Final Straw came out with a version of the folding straw that raised 38443 backers who each paid between $20-$30 for a single folding straw. The total pledged was $1,894,878 to help bring this project to life. Originally they sought about 1000 or so backers. Obviously they’ve exceeded their wildest dreams! Promo Motive has created their own version of this folding straw which will be available August 1. Promo supplier Promo Motive, the supplier that “Does Weird Well!” is pleased to announce the upcoming release of the logoable collapsible stainless steel straw, scheduled for August 1st with a distributor retail price C of between $7-$8.50 at MOQ. Woman arrested for illegal use of plastic drinking straw! U.K. woman arrested for illegal use of plastic drinking straw! Unthinkable scenario seems more and more likely as countries, states and cities move enmasse to ban disposable plastic straws. The disposable plastic straw has come to an end in many marketplaces faster than anyone anticipated. A lot of this is due to 2 things happening independently of each other but both interlocking. The Turtle with the straw in its nose video. This heartwrenching video made by an intrepid group of eco warriors brought home the point that even our most cherished wildlife is endangered by our addiction to unnecessary plastics. In the video it shows the Turtle rescuers pulling out a foot long plastic straw that has been embedded in the Turtles nostril! The invention of the folding eco-friendly stainless steel straw. Spurred on by companies such as Final Straw and Last Straw a new way to think of a drinking straw has emerged. The idea of a folding, key chain, collapsing stainless steel straw is going viral. Made from bacteria resistant stainless steel and bacteria resistant food grade silicone, the folding drinking straw works as a long term solution. Instead of throwaway one-time use straws the user can carry around this reusable and recyclable folding steel straw. The $27 Billion dollar Promotional Products industry seizes upon the idea! The ASI promotional products industry has seized upon the folding straw product as a trend-setting product perfect for the world-wide b2b consumer base. Starting in the fall of 2018 a number of leading suppliers including Promo Motive will be launching their own versions of the folding collapsible straw. For more information on the folding drinking straw complete with your logo and custom packaging email john@promocrunch.com. 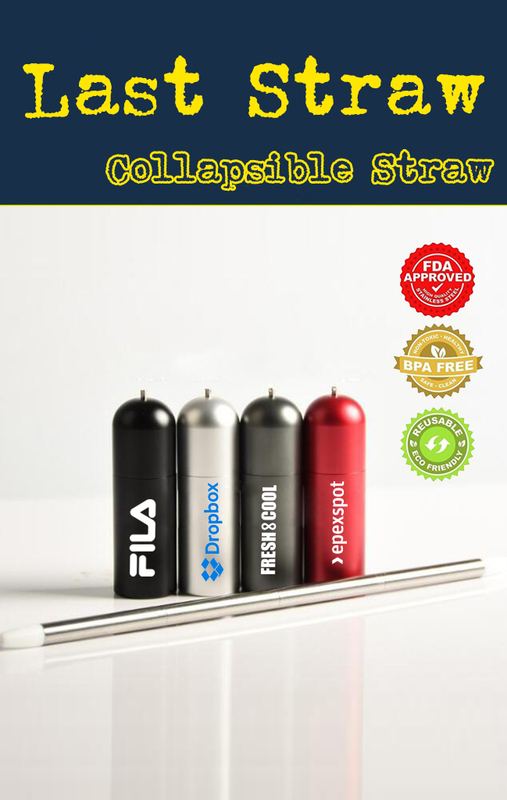 Massive price drop of 50% on collapsible folding drinking straw predicted! 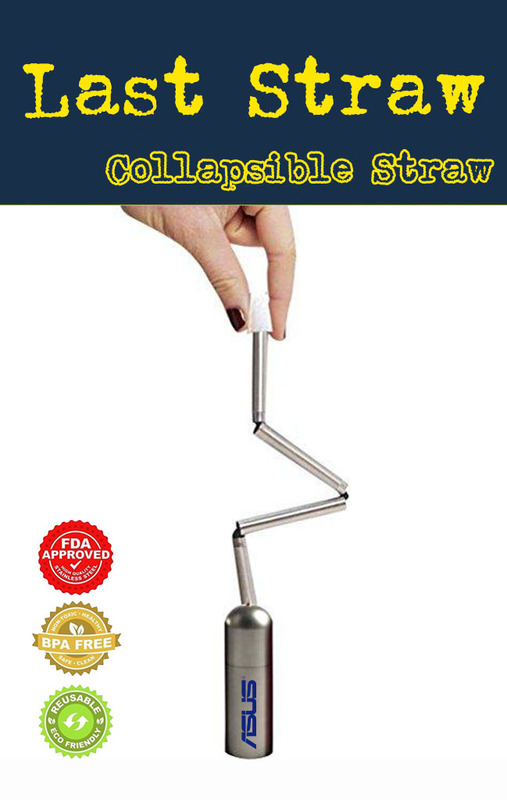 Price drop of collapsible folding drinking straw could be 50% or more! 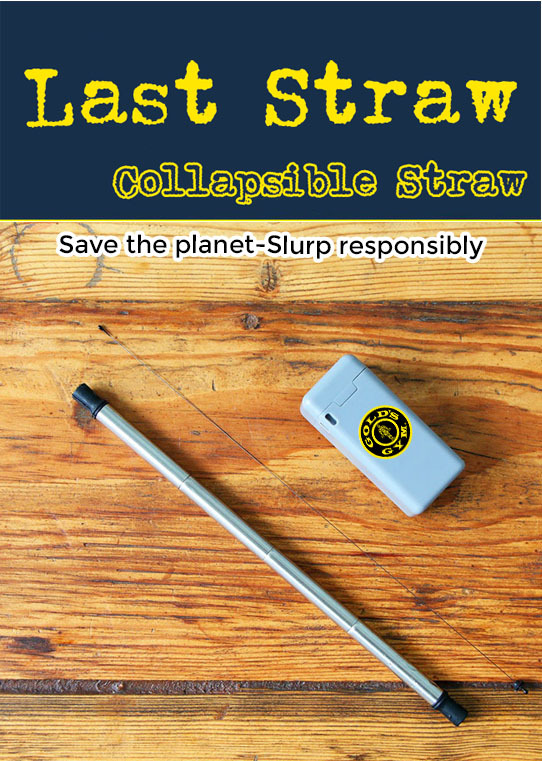 The wholesale price of the trendsetting collapsible and folding eco-friendly drinking straw, the Last Straw is rapidly declining. Originally the idea of a folding straw was launched on a hugely successful Kickstarter campaign sold at a price of $30 per unit. This was done by Final Straw and we are now seeing other variations of this design coming to the market for prices well under $10 with further price drops expected. Read why below. Why such a massive price decline? We have seen the same massive price declines in many previous successful Kickstarter campaigns. The problem or reason seems to be the disconnect between invention and manufacturing. Inventors and their inventions are often not well clued into the costs and procedures of off-shore manufacturing and at the same time their propensity to oversubscribe their initial Kickstarter offering, as tempting as that may be, can cause enormous problems as seen in production delays, cost overruns and more. Lets consider last year’s Fidget Cube. Initially the inventors sought $15,000 as start up money to get their Fidget Cube molded and marketed. They offered each Kickstarter investor a single cube for $25. Instead of raising $15,000 they raised more than $6,000,000.00! Currently the wholesale on a cube is about $2. Now this may seem like a good problem for Fidget Cube to have had but trust me things aren’t always rosy! The problem is really a variety of problems combining to make one big headache for the original manufacturer and to simultaneously rapidly accelerate a whole lot of competitors to make a similar product, especially as this product may not yet be patented and may not be patented, ever! Oversubscribed Kickstarter campaigns can rapidly accelerate a whole lot of competitors to make a similar product, especially as the product is not yet patented and may not be patented, ever! If a promoter/inventor of a new take on an idea gets too successful on Kickstarter then they can easily create a huge bottleneck in development and early production. If you are a newbie manufacturer not used to how China works, the manufacturing and delivery issues unique to the country and how to ramp up production quickly and effortlessly, then you end up with a delivery problem of enormous size. This is seemingly what happened to Fidget Cube with their initial deliveries being delayed months past promised dates. This could easily be the same for Final Straw as they too have oversubscribed significantly their Kickstarter campaign with their delivery dates now not scheduled until November 2018! We have the Last Straw available for wholesale as of August 1, 2018. 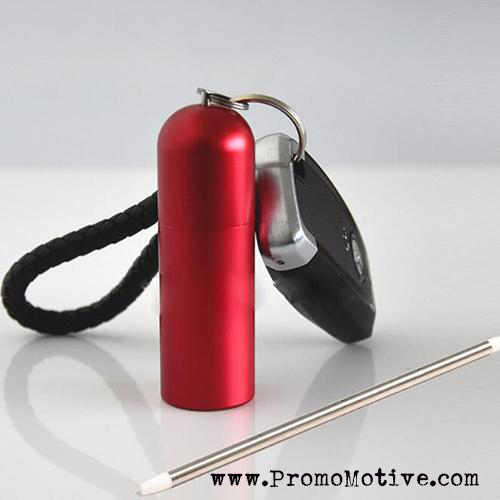 Promo Motive is a leading supplier of promotional products for the North American and European ad specialty, b2b and promotional product marketplaces.